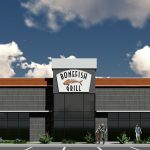 Bonefish Grill will open its first restaurant in Daytona Beach on Monday, April 22 at 11 a.m. at 1702 W. International Speedway Blvd. in front of the Volusia Mall. Recognized as the fresh fish experts, Bonefish Grill specializes in market-fresh fish hand-cut in house daily, wood-grilled specialties, hand-crafted cocktails and a distinct wine list. The restaurant – known for its innovative menu and seasonally sourced specials featuring the highest-quality, freshest ingredients – provides a fun and lively dining and bar atmosphere. 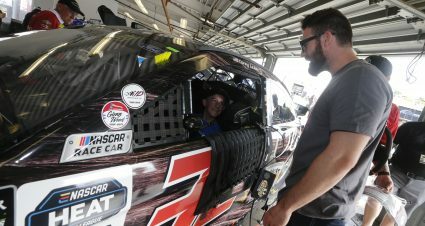 From 11 a.m. to 10 p.m. on Wednesday, April 24, Bonefish Grill in Daytona Beach will donate 50 percent of sales, up to $10,000, to The NASCAR Foundation. 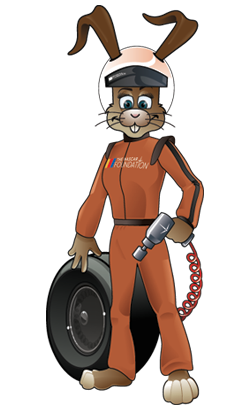 The organization is dedicated to improving the lives of children who need it most in racing communities across the country. The 5,800-square-foot restaurant features a sleek design with open ceilings, and a spacious dining room with floor to ceiling windows. Adding a nautical twist to its new bar centric design, the restaurant will feature a unique boat shaped bar with a crab trap back wall display. Santina cherry flooring can be found throughout the restaurant with an array of three-dimensional art, including large-scale metal sculptures of fish and fishing scenes. Overall, the restaurant has a seating capacity for approximately 194 patrons, including 36 at the bar. 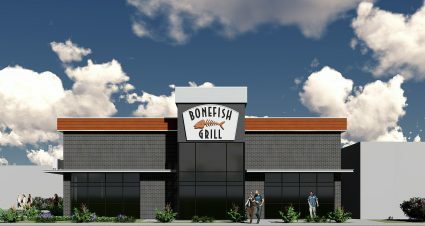 “We are excited to be opening our newest location with an innovative Bonefish Grill look in Daytona Beach, and look forward to having our neighbors create long-lasting memories at our restaurant,” said Bonefish Grill Joint Venture Partner, Holly Gustafson. Bonefish Grill’s current seasonal menu offers crave-worthy dishes such as Saigon Sea Scallops and Shrimp – wood-grilled Georges Bank Scallops and tender shrimp served over vermicelli noodles in an oriental sauce infused with ginger and garlic, finished with scallions and cilantro, and Atlantic Wolffish + Lobster Roulade – Wild Wolffish rolled and stuffed with a creamy lobster and shrimp blend, baked and finished with a roasted chili reduction sauce. Guests can pair these dishes with a signature seasonal handcrafted cocktail, the Smoky Mezcal Margarita – Herradura Tequila and Del Maguey Vida Mezcal with citrus and pineapple juice, and house-infused turmeric simple syrup finished with a smoky chili pepper salt rim and fresh pineapple garnish. The new Daytona Beach restaurant will serve dinner nightly. Lunch will be served Monday – Friday and the award-winning brunch on Saturdays and Sundays. 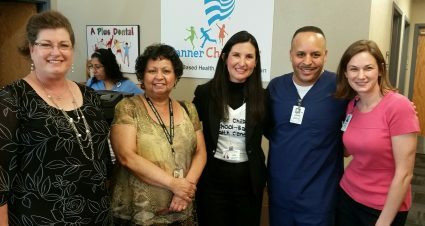 • Monday – Friday: 11 a.m. – 10:30 p.m.
• Saturday: 11 a.m. – 11:30 p.m.
• Sunday: 10 a.m. – 9 p.m.
For more information please call (386) 233-3335 or visit https://www.bonefishgrill.com. 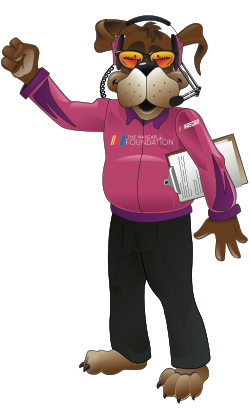 Please present this flyer when you dine at Bonefish Grill in Daytona Beach on benefit day so 50% of the sales goes back to The NASCAR Foundation!